Four years ago, I published my book on religion. Since my teenage years, I have been an atheist and after I retired in 2007 I took it upon myself to write a book explaining why. 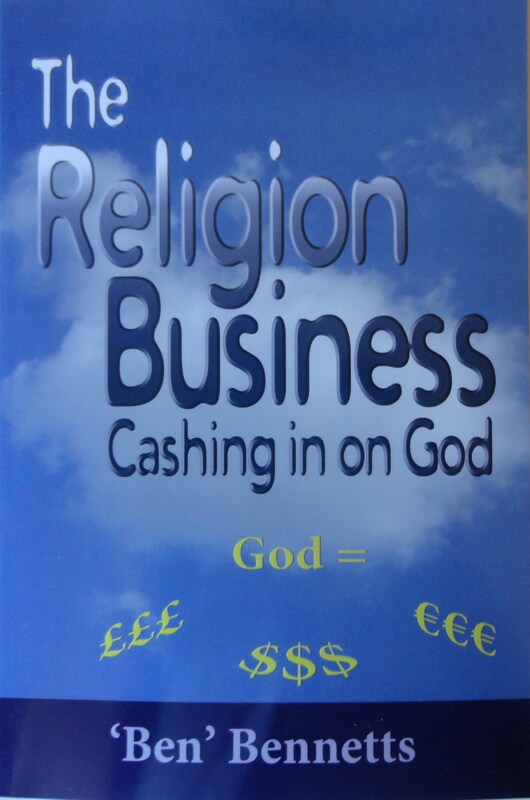 The book, The Religion Business: Cashing In On God took well over a year to write and is currently available as both a paperback and e-book. Details here. One of the chapters in my book is a summary of today’s major religions: Christianity, Islam, Judaism, Hinduism, even Buddhism which, arguably, is not a religion, and several more. At the back-end of this chapter, I shortlisted some of the more interesting New Religious Movements (NRMs), religions founded in the last two hundred years. There are many (over 250 according to the Wikipedia article on NRMs) but one that caught my eye was the Church of Scientology. (Another was the gloriously-titled Flying Spaghetti Monster Church but that deserves its own hilarious blog.) I’d heard of Scientology through my interest in science fiction. The Church of Scientology was founded by an ex-sci-fi pulp-fiction author, L Ron Hubbard who, it is claimed decided he could make more money by starting a religion than by writing science fiction. And that’s exactly what he did. I researched Scientology and added a summary of what I found to my modern religions chapter. You can download the summary here, extracted from my book. There had long been rumours, fiercely denied, of the controlling nature of scientology and its policy of tearing families apart, a process called disconnection, if one member of the family was a scientologist and another not. Similarly, anyone who openly criticised scientology was attacked through litigation, covert surveillance, or anything else that could be used to discredit the attacker. I recall a 2010 BBC Panorama programme in which the reporter, John Sweeney, was harassed and verbally abused by a surveillance team who refused to identify themselves but who were clearly representing the Church of Scientology. When Hubbard died in 1986, there was a brief power struggle resulting in a young man, David Miscavige, rising to the top to take Hubbard’s place. At the time, David Miscavige’s mother, Loretta, and father, Ron, were involved with scientology and had introduced all four of their children, two boys, two girls, into the religion. Loretta, and the other son, Ronnie, left the organisation before Hubbard’s death. Ron and his two daughters stayed on and became full-time members. David was already a full-time member with access to L Ron Hubbard. Following Ron and Loretta’s divorce in the mid-‘80s, Ron married Becky, a younger member of the organisation, and he went on to serve almost 27 years as a Scientologist. During this period, he watched the progress of his son David, first with pride but ultimately with horror as David Miscavige turned the organisation into a money-making secretive all-controlling organisation that Ron Miscavige likens to the East German Stasi and the North Korean style of government. 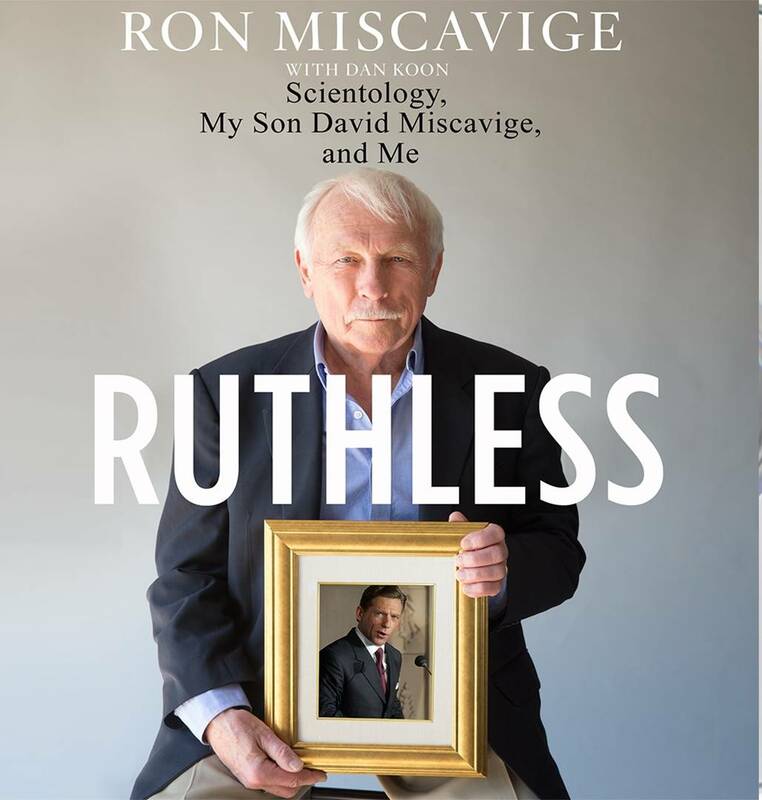 Ron Miscavige and his second wife Becky finally escaped from the Californian headquarters in 2012 and after further encounters with the organisation, Ron Miscavige was motivated to write his book Ruthless: Scientology, My Son David Miscavige, and Me (Silvertail Books, 2016), available on Amazon and elsewhere. Prior to reading Ron Miscavige’s book, I had already followed up on my interest in how religions are created, how they exercise control of adherents, and in Scientology in particular. In 2014, the English reporter and free-lance writer Russell Miller published his collection of memoires about the founder L Ron Hubbard. His compendium, titled The Bare-Faced Messiah, used to be freely available as a downloadable PDF (I have a copy) but I notice the download is no longer available pending a release as a book by Silvertail Books. The Bare-faced Messiah concentrates on Hubbard as a person and on how he created Scientology by combining his sci-fi knowledge with black magic, amateur psychology, and personal charisma. 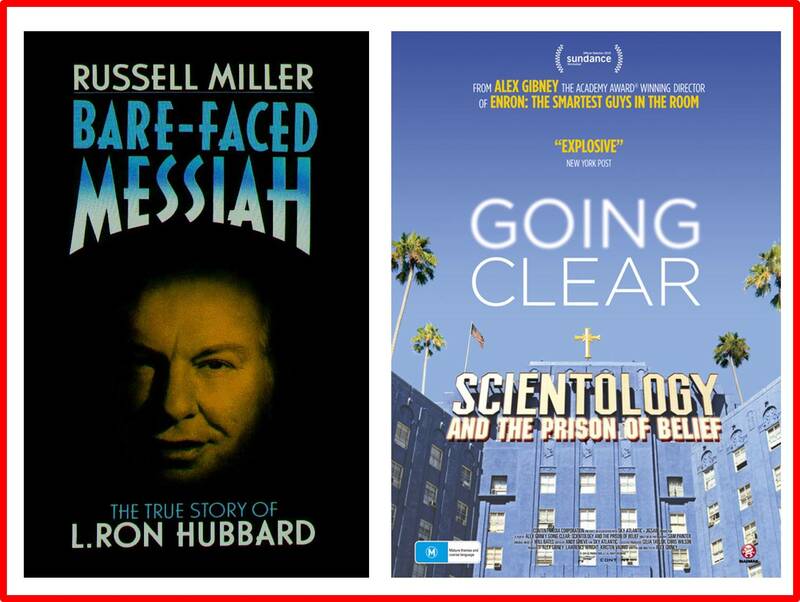 I also watched the 2015 movie Going Clear: Scientology and the Prison of Belief, Alex Gibney’s series of interviews with former senior Scientology defectors and the revelations they provided about the process of disconnection; the secrecy; the treatment of suppressive persons (those who openly criticise scientology and are supposedly dedicated to its downfall); incarceration of those Scientologists who had “sinned” in The Hole, a prison complex within the Scientology compound near Hemet in California; and many other malpractices carried out under the direct authority of ultra-micromanager David Miscavige (his father’s description, not mine). Ron Miscavige’s book corroborates much of what Russell and Gibney have presented and, in places, adds considerable depth to the character of David Miscavige. Ron Miscavige tells of his son’s upbringing (Ron and his first wife Loretta fought like cat and dog almost every day of their married life and Ron confesses to physically abusing his wife on occasions); of how auditing (the basic one-on-one therapy “invented” by Hubbard) supposedly cured David Miscavige’s childhood asthma; of how David turned from a normal child into an adult with ruthless and sadistic tendencies and, ultimately, an insatiable greed for power; and of how he manipulated his way to the top of the organisation and what this has done to Scientology—creating defections, schisms, unsavoury revelations about management style, multiple litigations, and numerous disconnections. Ron Miscavige also tells of David’s Miscavige’s courtships with celebrities such as Tom Cruise and John Travolta, both of whom have been audited in the past and may have revealed details of their lives that they do not wish to be made public. Rumours about why Cruise and Travolta remain as Scientologists are numerous. If you have a general interest in New Religious Movements and, in particular, Scientology, Ron Miscavige’s book is a must. Even if NRMs are not your thing, the book makes for an interesting read if you have some familiarity with the origins and teachings of Scientology but think of this. Ron Miscavige paints a devastating picture of his son: his morphing into the ruthless leader he’s allegedly become; his worship of the god mammon; his apparent ability to control and make use of A-list celebrities; his disruptive and morale-sapping methods of micro-management; and, ultimately, his dictates regarding family disconnections, including that of his father. Ron Miscavige is denied any contact with his two daughters, both of whom are still in the church, and has grandchildren he now never sees. Filicide, when a parent kills an offspring, is regarded as an unforgiveable crime. Ron Miscavige has not done this to his son but he’s come pretty damn close in his condemnation of his son’s behaviour. Ron Miscavige’s last words in the book are “David, I forgive you”. Forgive means to stop feeling angry or resentful towards someone for an offence or mistake (Oxford Dictionary). This is a noble sentiment on the part of Ron Miscavige. I wonder if David Miscavige will return the sentiment once he’s read his father’s book. However, if this counter-attack by the Church of Scientology International is anything to go by, there will never be a father-and-son reconciliation.